Home › Blog › E-commerce › So You’re Building An Online Store? Here’s How to Get Your Ducks in A Row. So You’re Building An Online Store? Here’s How to Get Your Ducks in A Row. Congratulations on entering the wonderful world of e-commerce. You’re in for a wild and interesting ride. But everything will go much more smoothly if you get your “ducks in a row” first. So here’s a list of the major ducks you need to line up, in order to make your first online retail venture a success. Duck #1: A working Magento site. For obvious reasons, it’s best to have a professional design your site – preferably in Magento, the gold standard e-commerce platform. You’ll get the premier shopping cart system, product catalog and backend monitoring – plus the advantage of a custom-designed store that perfectly matches your current brand and/or real-life storefront. But if you want a do-it-yourself, less customized solution that will get your store online quickly, check out sites like WooCommerce. Duck #2: A good transactions system. PayPal is probably the quickest and easiest method – but unfortunately, they do take a bite out of your transactions, with their 2.9% + 30 cents per purchase fee. It takes a little more time to enable credit card purchases – you’ll have to set up merchant accounts with card vendors – but ultimately, you’ll end up making and saving more money. Duck #3: A convincing customer experience. Shopping online is different than shopping in real life. Your customers don’t have the opportunity to examine, try on, touch, feel or test your products. The only information they have is pixels. So you’d better make sure you give them the highest-quality pixels possible. Write compelling content. Take high-resolution pictures from multiple angles, including pictures of the product being used or worn by real people. The more your customers can see, the more likely they are to buy. Duck #4: Streamlined shipping, returns and exchanges. It’s a good idea to establish a relationship with an existing carrier. You’ll get discounts, build credibility, and probably get a handy shipping costs calculator which you can display on your site. Duck #5: Publicity in all the right places. 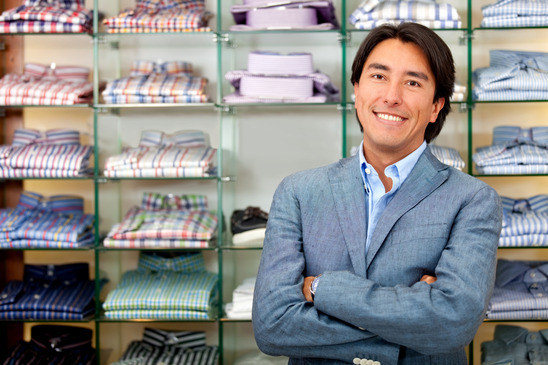 Just like a new brick-and-mortar retailer, your store needs publicity. The difference is, your customers are all online, so you’ve got to advertise online. Do some research and figure out your target market’s favorite social channels. Then build a multi-channel marketing campaign that delivers a clear message across those channels. Twitter is your playground! Start a hashtag. Post enticing pictures on Pinterest or Instagram. Just keep your branding consistent, and watch the buzz and the energy keep growing. It’s not that hard to get your ducks in a row. As long as you’re thoughtful, proactive and confident, online retail success is waiting for you. So come on in. The water’s fine.